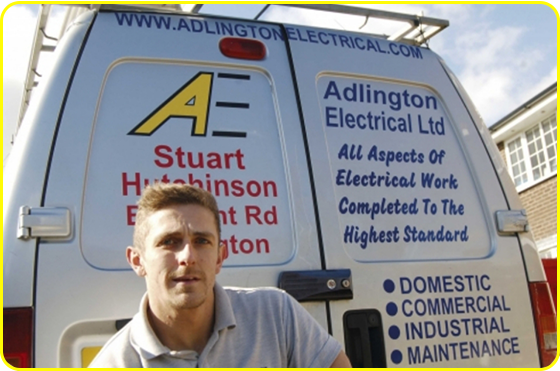 Adlington electrical | Chorley Electrician offering commercial and domestic electrical work. We cover all aspects of electrical work through out adlington, Chorley lancashire and the northwest. Adlington Electrical Ltd is a friendly reliable service. We aim to deliver 100% satisfactory service at unbeatable prices on everything we do. Our wide range of knowledge and experience allows us to cover all aspects of electrical work. Get in touch with Stuart or Lauren for a free quotation on: 01257 429 793 or 07711 693 168. Bright spark Stuart Hutchinson knew what he wanted to do in life the moment he left Chorley’s St Michaels High School, and it gave him a real buzz to go back there recently to undertake some electrical maintenance work. The family man worked for a Bolton firm from 16 to 28 years of age, before deciding in January 2016 to branch out on his own as Adlington Electrical Ltd, and has not had a day off since going it alone. Many former customers who he has undertook work for have stuck with him- a testament to the quality of the service he provides. And offering reasonable rates and a flexible approach about when he can see you, the phone is always ringing and the demand for his skills keeps him busy. Adlington electrical Ltd carry out all aspects of electrical work throughout Adlington, Chorley, Lancashire and the Northwest. We love everything electrical! no job is to small for us and with a team of 4 electricians serving throughout the northwest we can work at different levels from domestic through to commercial. Contact Stuart or Lauren today for a free quotation on: 01257 429 793 or 07711 693 168. 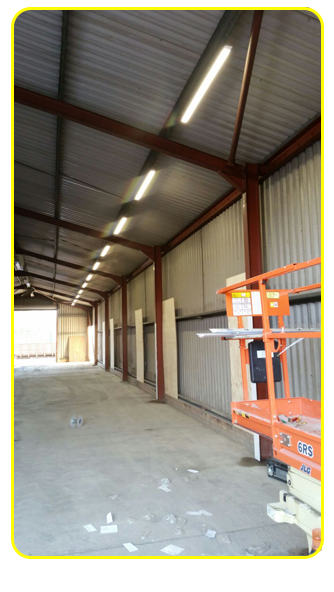 Adlington Electricial Ltd. offer all aspects of commercial electrical work in Chorley, Bolton, Blackburn, Preston, Lancashire and the Northwest of England. Adlington Electrical offer full electrical rewires available in Lancashire areas. Adlington Electrical offer electrical testing and inspections available in Lancashire areas. Adlington Electrical offer electrical full fit outs available in Lancashire areas. Adlington Electrical offer electrical lighting design available in Lancashire areas. Adlington Electrical offer CCTV installs available in Lancashire areas. Adlington Electrical offer Burglar and fire alarm installs available in Lancashire areas. on 01257 429 793 or 07711 693 168 or email us and we'll email you back. Adlington Electrical Limited is a friendly, reliable service, covering all areas of electrical work.